Jay Karen is the CEO of National Golf Course Owners Association in the USA, where he leads the golf industry’s trade association and initiatives to support the success of the golf course business. Prior to his appointment at NGCOA, Jay was CEO of Select Registry, a portfolio of over 300 premier boutique hotels, inns and B&Bs. For seven years before that, Jay was President and CEO of the Professional Association of Innkeepers International, the leading trade association representing owners of small, independent lodging businesses. Jay will share some of the developments and trends in the USA market, as well as highlight the role the NGCOA plays in advocating for golf facilities. Jay will bring valuable international perspective to the Forum. On a personal note, Jay has been married for 15 years to an amazing woman, who is an independent college counselor, and has two children: a 9-year old daughter and 6-year old son. His primary interests include spending as much time with his family as possible (priorities), playing golf (since the age of 8), amateur photography (who isn’t these days? ), social media (he keeps Facebook in business), contemplating the meaning of life (doesn’t everyone? ), swinging a 53-pound kettlebell as often as he can (you should too), and eating foods that are really bad for him (one foot on the gas, one foot on the brake). Lodewijk is passionate about the growth of the game of golf and is dedicated to find what it takes to get and keep people into golf. In his 25 years in the industry in various roles he keeps picking up new insights which he looks forward to sharing with us. The world is changing, so should golf. Lodewijk is also chief executive of the Dutch Golf Course Owners Association and is a member of the advisory council of the Golf Environment Organisation, treasurer of the Dutch Turfgrass Research Foundation and a member of the Education Policy Board of CMAE. Lodewijk has been in the golf business since he graduated and has managed various golf courses in Holland. He is married to Marjon and they live in Amsterdam with their two children. Paul will outline key sporting participation trends, accessing the comprehensive resources of the Australian Sports Commission. Kim is the inaugural Executive Director of Sydney's Parklands and Botanic Gardens, the NSW agency managing Sydney’s most high profile public parks and botanic gardens. In this role, Kim leads the operational, technical, administrative and asset management services of the Royal Botanic Gardens and Domain Trust and the Centennial Park and Moore Park Trust, while maintaining their scientific excellence, custodial responsibilities and financial viability. Sydney’s Parklands and Botanic Gardens is Sydney’s harbourside to mountaintop green space network, delivering world-class education, entertainment, botanic research, sport and recreation to the community. A key part of the network of spaces is Moore Park Golf, one of Sydney’s busiest public access golf facilities featuring a 60 bay, all-weather driving range (one of the largest in the southern hemisphere), as well as 18 holes of golf on the fringe of Sydney’s CBD, golf retail and hospitality services. A feature of Moore Park has been the willingness of the Trust, as an active owner, to invest in the facilities including the unique big screen, a 22 sqm LCD screen located on the range outfield offering an array of entertainment options. Hear about Moore Park Golf’s journey from Kim, and understand what drives the Trust to invest in public golf. Jo-Ann is the Head of Research and Insights at Nielsen Sports (formerly Repucom) where she designs, oversees and delivers research to enable clients within the sport, entertainment and leisure space to identify opportunities for growth and overcome challenges. Stephen Pitt joined Golf Australia as CEO in November 2008 after two and a half years as the CEO of Golf Queensland. Stephen has helped to rebuild the financial position of Golf Australia and strengthened the organisation's engagement with key stakeholders including the State Associations, Government and media. In addition, he has worked with the Golf Australia Board and Staff to deliver some of the finest Men’s and Women’s Open Champions in the events’ long and storied histories. In his time, Golf Australia has enjoyed notable success in its high performance program and website and digital communications programs and has done an enormous amount of work in game development in terms of programs for juniors, women and casual golfers. Brian Thorburn is the Chief Executive Officer of the Professional Golfers Association of Australia (PGA), a position he has held since March 2011. The PGA is the Association of Professional Golfers in Australia representing PGA Members who are vocational professionals working in clubs, as well as touring professionals. Brian is also the Commissioner of the PGA Tour of Australasia which stages a series of major events each year including the Australian PGA Championship, Emirates Australian Open, the Perth International, as well as the Fiji International. He is the Chairman of the International Golf Institute of Australia, Chairman of the AGIC (Australian Golf Industry Council), also sits on the board of the PGA World Alliance, International Federation of Tours, MyGolf Junior Golf Program and the Jack Newton Golf Foundation. Before working at the PGA, Brian Thorburn held executive positions for over twenty years in the banking sector with CitiBank, The State Bank of NSW and Westpac prior to moving into sports management in 1996. He was the Commercial Director of the Australian Rugby Union for 12 years and was awarded the Australian Sports Medal in 2000. He then established 24/7 Sports, a sports marketing, promotions and events management company where he consulted to Netball, Football, Cricket, AFL, Rugby Union and Rugby League clients. Brian joined the PGA three years after the successful amalgamation of the PGA of Australia and PGA Tour of Australasia. The organisation turns over in excess of $30 million a year with approximately sixty employees and five offices across Australia. To further his commercial and management experience he moved into the professional sports and major event industry in 2005 and held a senior executive positions within golf, football (FFA) and cricket. As Chairman of Yarra Bend Golf, Tony will outline the story behind the investment in facilities at Yarra Bend Golf, and the vision being realised by a broad group of owners including many experienced golf industry operators. Elizabeth (Biz) began her career in marketing and PR in London. She returned from two years overseas to assist her family with their new business project – a golf course on the remote north east coast of Tasmania by the name of Barnbougle Dunes. In 2009, to meet requests from friends and work associates for marketing and PR assistance Biz established Sattler PR. In 2012, Biz commenced work on the Great Golf Courses of Australia project, a marketing co-operative between Tourism Australia, the state tourism organisations and Australia's top 18 golf courses. GGCA aims to showcase Australia as a leading golf tourism destination to the international marketplace through executing targeted in-market consumer and trade marketing initiatives, engaging media and developing and executing online communication strategies. Sattler PR has and continues to work with clients in the golf, tourism and hospitality industry sectors some of which include The Adam Scott Company, Adam Scott’s mi Golf Club, Tourism Australia and state Tourism bodies. Working closely with the Australian golf industry and tourism industries for over 10 years, Biz's business approach draws on the philosophy that trust, understanding and enjoyable work environments deliver better results and build stronger business partnerships. Biz will discuss how your course’s experience becomes a dinner table conversation, creating a presence in the digital space, the power of collaborations and the value of repeat visitation. Sean Callanan understands the sports digital landscape. He founded Sports Geek in 2009 after a 15 year career in IT development. Connecting sports, fans & sponsors using technology is his mission. He has worked with professional teams and leagues to understand what content fans want, how to develop digital teams to deliver that content and how to commercialise digital fans with membership, merchandise and sponsor promotions. His “Sports Geek” podcast has become incredibly popular with sports professionals around the world and we’re very excited Sean is bringing his digital expertise to the Forum. In his presentation, he’ll be sharing his insights into the state of the digital landscape and practical steps golf facilities can take to manage their online presence and create engagement with customers in the using content, data and social media. Adam Posner is the founder and CEO of Directivity and has been a data-driven direct marketer for 23 years. He started his loyalty life in the mid ’90's with a shopping centre loyalty program initiative called “Scratch & Save”. Since then, he has been involved in a range of loyalty and retention programs from large retail programs such as the flybuys program re-launched in 2012, as well as developing self-funding ‘Return on Loyalty’ models for pharmacy, entertainment and large franchise accommodation networks. He is obsessed about helping clients build and maintain valuable loyalty programs that are profitable to the business and meaningful to the member. He commissioned and co-authored two of Australia’s most in-depth research studies on consumers’ relationships with loyalty programs (‘For Love or Money’, 2015 and 2013 and ‘Share the Love', 2014). The 2013/14 studies were placed 4th in the Top 10 most viewed marketing topics of 2014 by Marketing Magazine. Adam is also the author of one of Australia’s only practical book on loyalty programs: ‘Give back to get back - 9 steps to a profitable loyalty program’. Adam has been widely interviewed on loyalty and published in Marketing Magazine, BRW, CMO, Colloquy, eConsultancy, AdNews, B&T and SmartCompany. Adam has presented on customer loyalty and loyalty programs at Loyalty World (2013), The Customer Show (2014) and ADMA Forum (2012 and 2013), ADMA Retention Marketing (2014/2015), Customer TECHX Show (May 2015), Clarinden Global Faculty Director for July 2015 ‘Designing High Impact Customer Loyalty and Retention Programs’ as well as tailored loyalty keynotes for clients including Choice Hotel Group, Accor Pacific, Horseland and Pharmore. Mark Band is the CEO of the Peak Association Parks and Leisure Australia. His background and professional experience has been focused on the social and economic benefits of the sport, leisure and parks sector and the positive impacts these have on communities, businesses and the overall wellbeing of individuals. Starting his career in the industry in 1992 in the United Kingdom, Mark has held positions in the public, private and not for profit sectors across the globe and has worked in policy, planning and provision of services, assets and infrastructure that enhance opportunities for quality sport and leisure participation. As the CEO of Parks and Leisure Australia, Mark is responsible for the national functions of the organisation and manages a team of committed professionals that service the broader parks and leisure sector in Australia by way of training, professional development, networking, partnerships with key agencies both in Australia and internationally, and advocacy to all levels of Government including media liaison. Marks passion for the sector is recognised nationally and his focus is on ensuring sport and leisure participation can be enhanced through the provision of quality services and infrastructure at the local level which benefits both the individual and ultimately sports through grass roots participation. His presentation at the Golf Forum will therefore address the need to plan and develop and manage public golf courses in a sustainable manner that considers urban growth, latent trends and demands and the need for local authorities to be accountable in the way public land is managed and provided for a number of potentially competing uses. Bill Yates, "the Guru of Pace of Play", has a simple philosophy to help golf courses improve: know where you are, find out where you could be, and build a plan to get you there. He has demonstrated again and again that the problem of slow play absolutely can be solved, as Golf Business Forum attendees will discover. Founder of the transformational Pace Manager Systems® and Pace Manager® GPS, Bill has dedicated decades to the analysis of how managers can speed up play, improve the golf experience, and increase profits. He has worked directly with more than 150 public, private, municipal and resort courses around the world, helping them lower their round times and improve customer value and revenue. Bill also works with golf course architects and others who are designing, redesigning, or renovating a golf course. His Pace Designer Systems® optimises the flow of play while the course is being built or rebuilt, and provides tools to successfully manage play and revenue from opening day. Bill has been featured in every major golf publication, and he has been a keynote presenter at premiere golf conferences throughout the US and in Europe. He has consulted with the courses at St Andrews in Scotland, the cradle of golf, and has assisted the Royal & Ancient Golf Club in managing the pace of play for the British Open and British Amateur Championships, and the United States Golf Association in managing the US Open and the US Women’s Open. 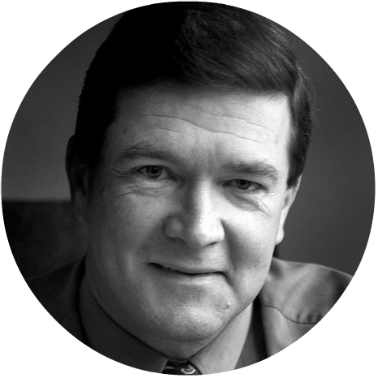 Prior to founding Pace Manager Systems, Bill was a principal with the international industrial engineering consulting company of H.B. Maynard & Co., Inc.
Matthew Day is the General Manager of Wembley Golf Course, a facility owned and managed by the Town of Cambridge. During his tenure, Wembley Golf Course and the Town of Cambridge have invested in a significant improvement program with major capital expenditure not seen at any other council owned golf facility in Australia. Over the past 14 years, a steady program of works have been completed – from upgrading greens and reticulation systems to the construction of a two level driving range and a 250 seat function centre. Wembley Golf Course is an industry leader when it comes to introducing new ideas and technologies to the public golf market and continually strives to find ways to attract the non-golfers in its catchment with new products and offerings. Matthew is a strong advocate for public golf and the importance of public golf facilities to the overall success of golf in Australia and he brings his wealth of experience to the Forum. Learn about Wembley’s long-term strategy and the financing model employed to sustain their development direct from Matt, as well as hearing about the experience of leading a major golf facility from inside local government. Luke Altschwager is the Managing Director and part owner of Parkwood International and has been a PGA Professional Golfer for nearly 20 years, playing and competing both in Australia and internationally as a professional player and running golf related business. Since taking on ownership with his partners, Luke has project managed the complete renovation and extensions to Parkwood International which now incorporates not only the golf course, but also three function rooms, alfresco restaurant, day/night Boulders and Badlands mini golf course, X-Golf simulator studios, teaching studio/academy, hot yoga studio and chiropractic facilities. Luke has also spearheaded the DA which integrates, golf, sports precinct, sports medical centre and potentially future Resort Hotel precinct. The sports precinct is well under construction and due for completion in 2016. Luke believes that passion for whatever you choose and never giving up are key to achieving success. Luke will talk about the “diversification of golf club facilities into community hubs”, what is happening at Parkwood International and the relationship with the Titans. Andrew is a Director of WellPlayed and is the CEO of a private family group which owns Eagle Ridge Golf Course in Victoria, a public access golf course located in Australia’s premier golf destination, the Mornington Peninsula. Andrew has managed Eagle Ridge since 2007, following a career in both professional services and executive management. Andrew is a golf business specialist and has now been involved with many WellPlayed projects, particularly involving public-access golf facilities. Andrew is a member of the National Golf Course Owners Association (USA) and has recently installed a dynamic pricing tee-time booking engine at Eagle Ridge, the first of its kind in Australia. Following this successful implementation, Andrew now distributes Quick18 software to the Australian market, and is well recognised as being a key proponent of the view that the increasing adoption of technology and marketing is crucial to the industry’s ongoing success. Strategic insights and action has been a key focus of Andrew’s operations at Eagle Ridge, and he brings a high level corporate focus and marketing experience to the business of golf. During the Forum, Andrew will provide valuable insights on pricing strategies and adopting dynamic pricing in the Australian market. In a market with plenty of supply of quality golf experiences, pricing strategy is a key driver of revenue growth and represents an opportunity for all golf facilities. Andrew will provide his top tips on easy changes to make to prices, and tools for developing longer term pricing strategies.